Guitarist Rich Antonelli didn’t know much about Crohn’s Disease until his now 10-year-old daughter was diagnosed three years ago. While there is no cure, he aims to raise funds and awareness to combat the illness through his first solo album, Voiceless, a guitar-based instrumental CD. Crohn’s, an inflammatory bowel disease that impacts the gastrointestinal tract, causing pain, weight loss and other complications, affects more than 500,000 Americans. With treatment, as well as a restricted diet, Antonelli’s daughter is able to attend school regularly and take figure skating lessons a few times a week. The album was released April 23 and features 10 tracks, plus one bonus song. 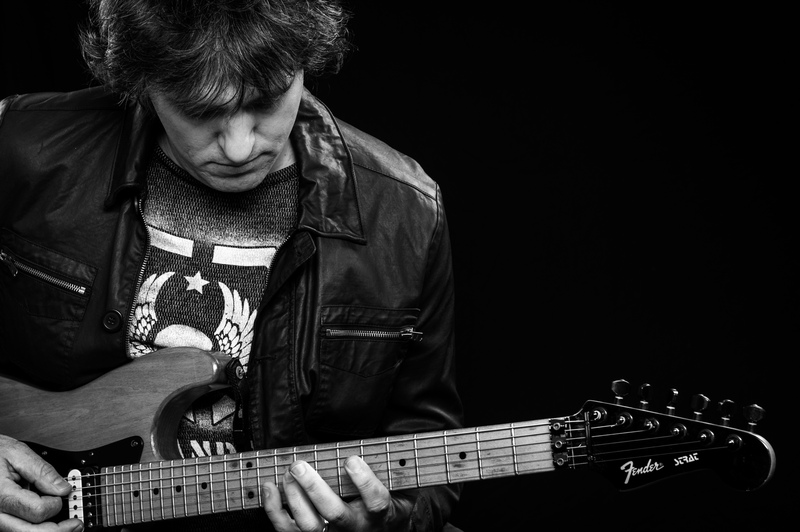 According to Antonelli, a guitarist for Bon Jersey, a Bon Jovi tribute band, it is influenced by 80s rock and infused with a few modern touches. He said it isn’t the prototypical guitar instrumental album. He began writing in August and started the recording process in October after launching a fundraiser campaign, collecting more than $1,000 in the form of donations from friends and fans, as well as pre-orders for the album. A few friends also donated their time, including Chris Longo, who played drums on the album. Aside from help with drums, Antonelli recorded the entire album on his laptop, laying down guitar, bass and keyboard tracks at his Rhode Island home. At one point, he propped his amplifier in the bathroom to create a better sound. “I ran the cables from the bathroom to my office, shut all the doors and it gave it a nice, natural reverb sound,” he said. But setting up and disassembling everyday became a hassle. For the rest of the album, he used a Kemper Profiling Amplifier, a gadget that allowed him to create and record samples, as opposed to a modular pre-programmed with guitar riffs. Since releasing the album, Antonelli has raised nearly $2,000. He’s been selling albums through his website, as well as at Bon Jersey shows. Signed CDs are also available. Prior to joining Bon Jersey about seven years ago, Antonelli was a founding member of $kyhigh, an original rock band conceived in the 1990s. They opened for headliners like Warrant, Cinderella, Quiet Riot, Great White, Sebastian Bach and C.C. DeVille, and released an album that achieved international success. Still, he views Voiceless as his biggest accomplishment. Learn more about Antonelli and purchase Voiceless at http://www.richardantonelli.com. For a list of Bon Jersey shows, visit http://www.bon-jersey.com.